Caracas. Again, the supposed humanitarian crisis in Venezuela is at the center of the political conflict. Yesterday, from one side of the ring, Juan Guaidó, president of the Legislative Assembly, showed which side chewed the iguana and slipped the possibility of a military incursion into Venezuela, under the pretext of providing humanitarian aid. And from the other, President Nicolás Maduro denounced that assistance as a show to justify a foreign intervention in his country. Interviewed by the Afp agency, Guaidó, who under the auspices of Washington proclaimed himself president in charge at a rally, did not rule out authorizing a US military intervention or a foreign force in Venezuela to overthrow Nicolás Maduro. 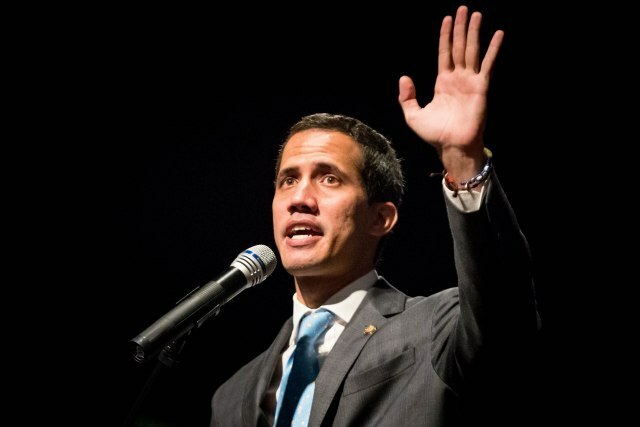 Guaidó justified the invasion with the argument that he will do everything necessary, everything we have to do to save human lives, so that children and patients do not continue to die due to lack of medicines. The press conference, the president of Venezuela, Nicolás Maduro, warned that his government "is not going to allow the show of false humanitarian aid, because we are not beggars of anyone" and called on the international community to unlock the almost 10 billion of dollars that were kidnapped to the constitutional government. He affirmed that in Venezuela there is no humanitarian crisis and that it is manufactured by the United States to justify the invasion. If you want to help Venezuela, release the money that has blocked us. It is a macabre game , he claimed. "We squeeze them by the neck and make them ask for crumbs, sorry. We stole the money and then we offer them toilet paper , as Donald Trump sent him to the people of Puerto Rico. " He added that, in case the United States sends soldiers to the Colombian border, it will not fall into provocations. "Given the provocation, calm and sanity (...) If US troops come to Colombia, they stay in Colombia," he said. But, he said, we must take care of the Colombian women and girls of the violations of the US soldiers . In the streets and in the houses of Caracas life goes on its course. At daybreak, the highways are congested with the vehicles of those who go to work. Dodging cars, innumerable motorcyclists advance unstoppable towards their destination. At peak hours, the Metro crammed with passengers. In the streets of the center markets are placed on wheels or tianguis to sell food. In thousands of public schools, children receive their breakfast for free. Dozens of restaurants and fast food outlets, including McDonald's, have their doors open. The elegant restaurants of the Las Mercedes neighborhood are full of diners, who park their luxury cars in the surrounding streets. The commercial plazas in rich areas in the east are still places for consumption, gathering and recreation of well-to-do families. Every month, through the more than 32,000 local supply and production committees (CLAP), tons of food are distributed to the popular sectors at subsidized prices. Your delivery is not conditioned to any political affiliation. The committees are a form of popular organization that, together with the Ministry of Food, is responsible for delivering basic necessities from house to house. Families have access by this route to rice, lentils, beans, oil, tuna, corn flour, sugar and milk. About 11 thousand CLAP distribute food and toiletries. That reality has nothing to do with the image of Venezuela as a Latin American Somalia or a replica of Haiti that the opponents of the government of Nicolás Maduro want to spread. Is there a humanitarian crisis in Venezuela as the opposition says? No, not even remotely. A humanitarian crisis is an emergency situation in which the life, health, safety or well-being of a community or group of people in a country or region are threatened. And in Venezuela life goes on its course. There is nothing to justify what the administration of Donald Trump and Juan Guiadó want to do, a humanitarian intervention of other nations. But that there is no humanitarian crisis does not mean that there are no problems. Of course there are. Hyperinflation devours income. Prices are out of date with wages. There is difficulty in finding money in cash. There are few medicines. There is a shortage of personal hygiene products. But, simultaneously, there is a social protection network that partially cushions these shortcomings. Venezuela has been, for decades, a petrolized country. The fall in black gold prices since 2014 has been a poison for your finances. And the economic war and the blockade have aggravated the situation. The attack on the local currency does not stop. Financial assets and Venezuelan accounts have been frozen and seized in the US financial system. The accounts of Venezuelan oil company PDVSA have been blocked. 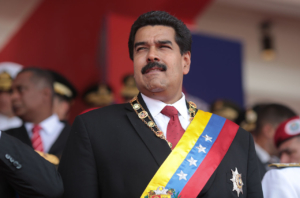 The economic offensive began to worsen in March 2015, when the president of the United States, Barack Obama, signed an executive decree that placed Venezuela as an unusual and extraordinary threat . Since then, the administration of Donald Trump has only hardened the sanctions. For the millions of poor people who suffered hunger, scarcity and persecution before the triumph of Hugo Chávez, to say that today there is a humanitarian crisis is, at least, absurd. In perspective, the difficulties that today live, are hardly anything in comparison with the precariousness that lived until 1998. Juan Contreras, member of the Coordinadora Simón Bolívar and resident of the 23 de Enero neighborhood, an emblematic urbanization west of Caracas, where more than 77,000 people live, puts things in their place. "For us the leg down," he says for La Jornada, "we have to put a point of comparison. For more than 40 years, between 58 and 98, there were 2 health centers on January 23. Today, after more than 20 years of the Bolivarian process, between 98 and 2019, there are 35 new outpatient clinics, plus the two that were in addition to three comprehensive rehabilitation centers. Today, in every corner of the country there is an ambulatory. "So with education. Schools that were mid-morning or mid-afternoon, today are like full-time schools. There is integral education. There are breakfasts and lunches for children. In these 20 years there are 42 new universities in the country. "There is the sample of how it has been changing for people. Before, to make a mural or to think differently, you were persecuted in the neighborhood, the house was raided, you were tortured. Today nobody is persecuted or anyone in the neighborhood is tortured for thinking differently. "So, little by little it has been changing on January 23. Education, health, housing, education, work and recreation. What any human being needs anywhere in the world to live well. Many of our boys have a job insured. Life in the neighborhood has changed from the persecution that we lived in the past to today: freely engage in sports, create cultural groups, organize, participate. We have four community radios. Our quality of life has risen in these 20 years. 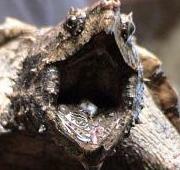 "The water service is permanent. Before there was fight, fight. Today there is still much difficulty, but no one is killed or repressed when protesting the water. Those of us who did not have faces have insurged. The gringos are afraid of all this. They come for our energy reserves. We have lived here, sometimes with annoyance, sometimes with doubts, but we have dignity and we are going to continue with our Bolivarian revolution. The Comptroller General of the Republic and President of the Republican Moral Council, Elvis Amoroso, informed on Monday about the beginning of a procedure of patrimonial audit to the deputy of the National Assembly (AN) in contempt, Juan Guaidó. Amoroso detailed that Guaidó "hid or falsified data in his affidavit of patrimony and has received money from national and international instances without any kind of justification", contrary to what is established in the Constitution of the Bolivarian Republic of Venezuela in article 197, where it says that the deputies to the AN are obliged to complete their work exclusively. I think the only question is when does he run away. This rally was clearly designed for external consumption; to create the impression in the eyes of the West of mass consensus for USAID intervention and whatever escalation follows. Ironically, it was comprised of the wealthiest, most well-fed Venezuelans, a sea of lighter skin. This guy's answer to his own question (WWSAD -- What Would Salvador Allende Do?) turns out to be: self-sacrifice. Just slightly more literally than the typical meaning..
"US puppet, trained by ex members of Serbian organization"
After a meeting with US Vice President Mike Pence, Juan Guaido declared himself the president of Venezuela. That's what the US media are saying, while the Russians are reporting that the self-proclaimed leader had been recruited by Washington some ten years ago, and is nothing but a US puppet. This information was conveyed by Venezuela's Ambassador to Russia Carlos Rafael Faria Tortosa. "In November 2010, according to emails obtained by Venezuelan security services, Guaido and several other student activists attended a secret five-day training at the hotel 'Fiesta Mexicana' in Mexico. The sessions were run by Otpor, the Belgrade-based regime change trainers backed by the US government. The meetings has reportedly received the blessing of Otto Reich, a fanatically anti-Castro Cuban exile working in George W. Bush's Department of State, ad the right-wing former Colombian President Alvaro Uribe," it is stated. The article says that Otpor was made up by a group of students from Belgrade who worked to end the regime of Slobodan Milosevic, and that "the children who led the group, after the fall of Milosevic, dressed up in suits and created the organization CANVAS. They are still financed from the United States and travel the world in an attempt to bring down dictators and autocrats, i.e., those that the US does not like." The Venezuelan ambassador added that the Americans had estimated Guaido was "ready for action" - but that he actually is not. "He's just a puppet, he's been put there for the United States to stand behind him and speak. The concept of a temporary president does not exist in the Venezuelan Constitution, Guaido and the American allies just want to deceive the international public," Tortosa stressed. 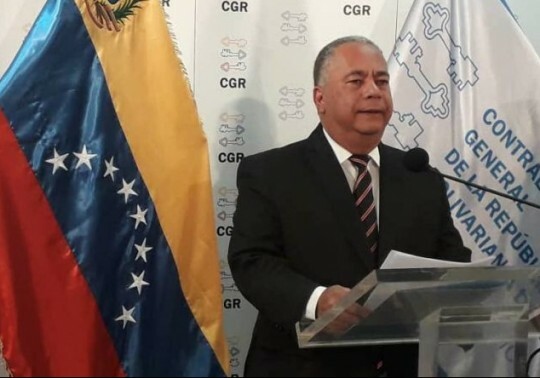 With the aim of overcoming the economic blockade imposed by the United States on Venezuela, the General Staff for Food will promote five lines of actions aimed at guaranteeing access to food for the Venezuelan people, said Minister for Agriculture and Lands, Wilmar Castro Soteldo. 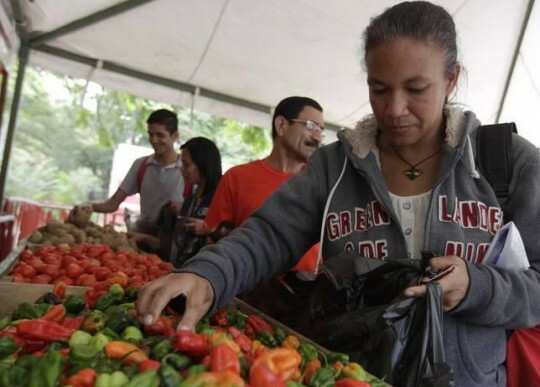 "The new beginning of the Clap system", named after President Nicolás Maduro, is "a program that is recomposed now with the creation, expansion and strengthening of the General Staff of Food in each of the regions of the country and is divided into 5 major strategic lines, "said Castro Soteldo, quoted in a press release from the Ministry of Communication and Information. The first line of this plan is oriented to the Local Committees for Supply and Production (Clap) arriving more directly and with a better follow-up and control in the delivery of the food combos to make the number of families that receive the subsidy sincere. As a second line is to take the fairs of the sovereign field or popular markets to the largest number of parishes and possible communities in the national territory. The municipal markets cover the third line of action, and it is planned that the 335 municipalities of the country will be activated for the production of food, textiles and non-perishable food. The fourth line will boost and re-launch Clap stores. In the first phase, the goal is to establish 27 stores, as well as the reactivation of Bicentennial Supplies with the help of private or local businessmen so that they can be of service to the population. The fifth and last strategic line named by Castro Soteldo, is the action that will be taken in the distribution networks linked to the chain of the National Association of Supermarkets and Supplies (ANSA), those of the merchants of other countries, which have large stores of trade at the national level, and the wineries that are distributed throughout our neighborhoods and communities that are served by these actors who act as wholesalers. The BBC's Orla Guerin has interviewed Venezuelan President Nicolás Maduro in Caracas.